As a Type 1 diabetic, I am all too familiar with high and low blood sugars. It’s a constant struggle to keep levels within a good range. When I think about it, diabetes and controlling BGL is quiet a scary prospect. People without diabetes may not realise the difficulty of managing their sugar levels, because the body does this automatically. On a daily basis I’m faced with the complexity of managing, my sometimes unpredictable blood glucose levels. I’ve learnt that there are many factors which can impact blood glucose level (BGL) such as, eating too much, or not eating enough, eating on time, how much exercise I’ve done, stress, too little, or too much Insulin. It is extremely important to keep a close eye on what I’m eating, the Insulin I take and most of all my BGL. It all ties together! What is Hyperglycaemia (Sugar High)? Hyperglycaemia – this occurs when blood glucose levels increase above 11mmol (200mg/dL) and circulate in the blood stream. High BGL’s over a period of years can lead to many type of serious complications. I will touch on these complications in another post. In the weeks prior to my diagnosis, I began to experience symptoms which were consistent with chronic hyperglycaemia. I will just outline a few of these symptoms. 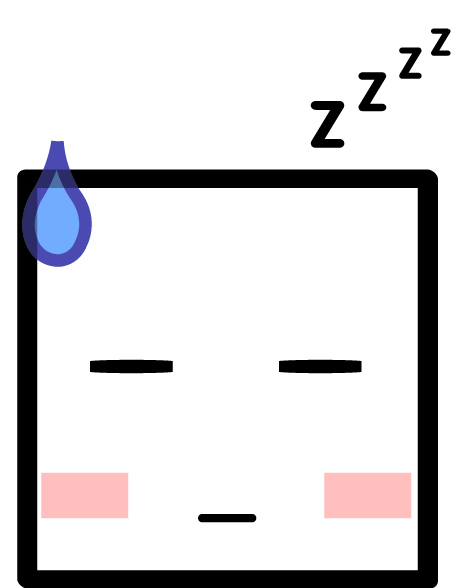 Fatigue – Tiredness which I can’t even begin to explain. If I had to explain this, it would feel like running a marathon, with no water, under the scorching sun and no breaks. Absolutely zapped of energy! Then you’ll probably have a rough idea of the sort of exhaustion I feel. Polydipsia – This is a frequent and uncontrollable thirst. (Hence the need for my huge 2L bottle which was permanently attached to my hip before my diagnosis. Polyuria – Frequent Urination. I was permanently glued to the toilet. It was all day and night. From what I can remember, it was probably between (20- 30 times ) in a day. Dry Mouth – My mouth was always dry. No amount of liquid eased this feeling. Fruity taste – This is a very strong and almost sickly fruity taste, which resembles a really sweet pear. This is a sign of ketone’s. Blurred Vision – My eye sight changed and I needed to wear glasses. Which I then wore for 2 years straight. Weight loss – Diabetic Ketoacidosis (DKA), this arises when there is a shortage of Insulin in the body. The body in response to this, lack of insulin adjusts and begins to burn fatty acids whilst producing acidic ketone bodies. My appearance changed rapidly. I’m naturally quiet a tall and slim figure so you can only imagine what I looked like. 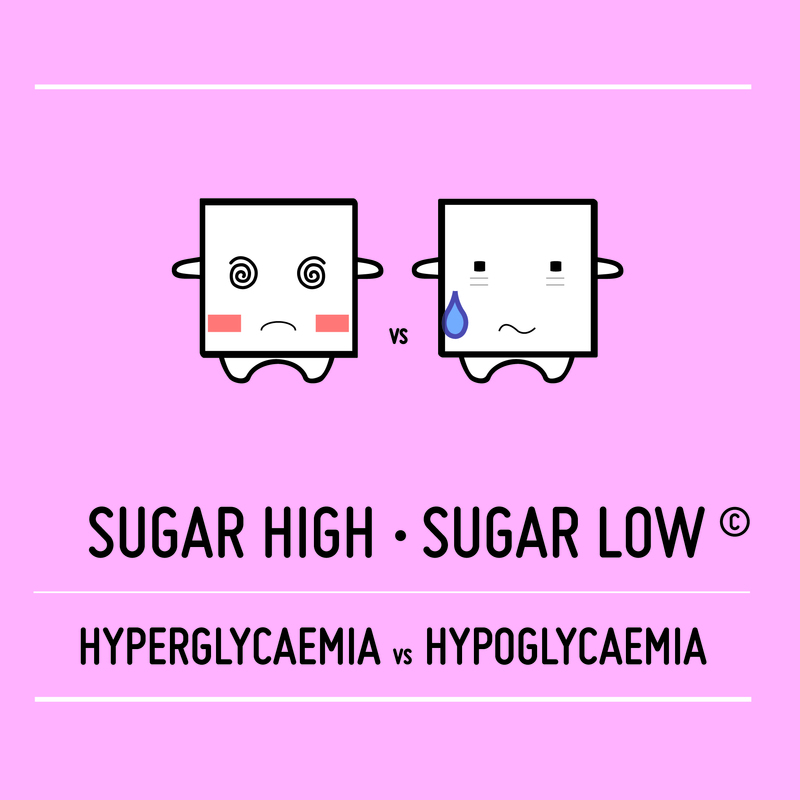 What is Hypoglycaemia (Sugar Low)? Hypoglycaemia – A hypo is triggered when blood glucose levels fall under 4 mmol/L or (72mg/dL). This fall occurs when, too much insulin is given or too little food is consumed. Hypo symptoms vary from person to person. Some diabetics have very few to no symptoms at all. My symptoms, and the way they happen have changed throughout the years. The biggest change was during my pregnancy. Its really up to the individual to learn their symptoms so that they can act quickly when they find themselves in this situation. However I’ll give you a general break down of the way my symptoms usually occur. Initially I may feel hungry or dizzy – this hunger feeling is an urge to eat something quickly, for me it’s usually something sweet. This is then followed by a change in my mood. Which can range from feeling irritated, angry, and I have even found myself getting upset over the smallest of things. At that moment in time, everything is blown out of proportion. I really believe that emotions, such as anger which may not be in a person’s characteristics may be brought to the surface, or exaggerated because the person is in a hypo state. 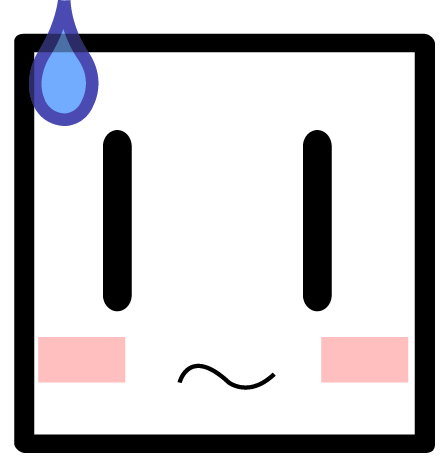 Change in temperature – Usually I will feel extremely hot. ”Over heated!” Almost like I’ve been made to stand in a sauna for hours. At this point I break out in a sweat. “The shakes”. I am unable to stop my hands from shaking, followed by a tingling feeling on my tongue. Concentrating on one thing at a time can feel really confusing. I develop the ”one track mind” and I tend to fixate on what is being said, with a need to defend myself, even if it isn’t directed at me.This quickly turns into silence, as I feel myself crashing. Unable to speak, and move, trying to preserve the last bit of energy I have left. ZERO energy – to the point of collapsing. In extreme cases diabetics are known to go into ‘diabetic coma’s’ and even have seizures . I have never experienced this and pray that I never do. Occasionally I’ve had hypo’s during the night. This is known as ”nocturnal hypoglycaemia”. I usually wake up in a confused state, feeling absolutely exhausted, with a piercing headache, damp clothing and sheets due to sweating. Do what you’re supposed to do, ie test sugars levels, eat well, take your insulin, exercise (find something active that you love and can maintain). Remember a down day is normal. Everyone has their down day! I’d love to see your perspective in the comments! What symptom’s do you have? How do they progress? Have they remained the same throughout your time with diabetes? Any Type II diabetics have you experienced any symptoms? If you’re not diabetic, have you ever experienced being with or around someone who has suffered a hypo/hyper? Are you able to recognise that the person is experiencing a hypo/hyper? Maybe by a change in their mood, expression, or the way they are talking etc?